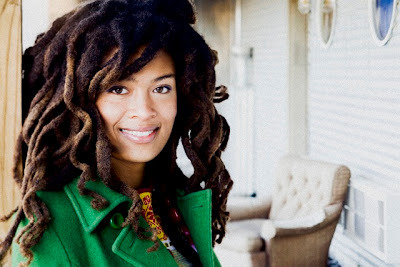 Such a beautiful voice, Valerie June has got on her! Simply soulfully vintage and full of life! March 4, Valerie June will release her brand new single 'You Can't Be Told' through Sunday Best - and is another insight into her world of beautiful vintage, country, gospel and powerful delta blues. With a new album 'Pushin' Against a Stone' due Spring of 2013, June has been winning over huge audiences on her recent visit to the UK at Bestival, her performance at London's Scala supporting Ryan Bingham and an appearance on Jools Holland. Headlining her own show at London's 100 Club on March 5, a day after her single 'You Can't Be Told' will be released, Valerie June is currently supporting one the most exciting breakthrough British singer-songwriters this year Jake Bugg on his current tour. And will be hitting London's Shepherds Bush Empire on February 28, along with Jake Bugg and a few others. Valerie June will be releasing her second track 'The World Is Not My Home' a stunning cover of the Albert E. Brumley song which will feature exclusively on this single. 'You Can't Be Told' and 'Pushin' Against a Stone' will both be released through Rob da Bank's stellar boutique label Sunday Best, which is home to David Lynch and Kitty Daisy and Lewis to name a few. Until then, listen to the exquisite soulful vocals coming from Valerie June. I look forward to seeing her perform on March 5 at the 100 Club in London.